Artsy urban design and lush tropical living meet at Eshara Villas, a chic hideaway just minutes from Seminyak Beach and some of Bali’s best boutiques, spas, restaurants and nightclubs. The property is home to three stylish luxury villas that offer private 2-bedroom and 3-bedroom escapes, or you can draw back the garden walls to create a spacious retreat that can sleep up to 16 people - a superb choice of 2, 3, 5 and 8 bedroom luxury villas. The Eshara Villas were designed with sensory pleasures in mind. Everywhere you look there are splashes of colour, from the verdant gardens to the vibrant flowers, rich Indonesian textiles and timbers and the sparkling green pools, and there are plenty of indoor and outdoor spaces to recline in solitude or gather with friends and loved ones for conversation, cocktails or candlelit meals. Throw in ultra modern amenities and five-star service, and you really get the sense that you’re in your own tropical utopia here. Eshara Villas is home to the 3-bedroom Eshara I, and 2-bedroom villas Eshara II and Eshara III. The villas are set in lush tropical gardens filled with frangipani trees, coconut trees, flowering plants and soothing water features. Retractable garden walls can be rolled out to separate the villas and provide privacy, or slid back to open up the space for large groups or events. Each villa has its own private green-tiled swimming pool, sunny pool deck and leafy garden, and the villas consist of L-shaped pavilions that house rich hardwood and marble floors, soaring ceilings, bright artworks and large sliding glass doors that bathe the rooms in natural light. Adding to the ambiance are unique touches like comfy sofas decked out in plush cushions in earth tones and patterned yellows, blues and greens, long dining room tables with funky cowhide chairs, modern wood and rattan tables and chairs and sleek flat-screen TVs. The bedrooms at Villa Eshara are serene sanctuaries of light and space, and they feature either a roomy king-sized bed or two twin beds that can be kept separate for kids or overnighting guests or pushed together to make a king bed. 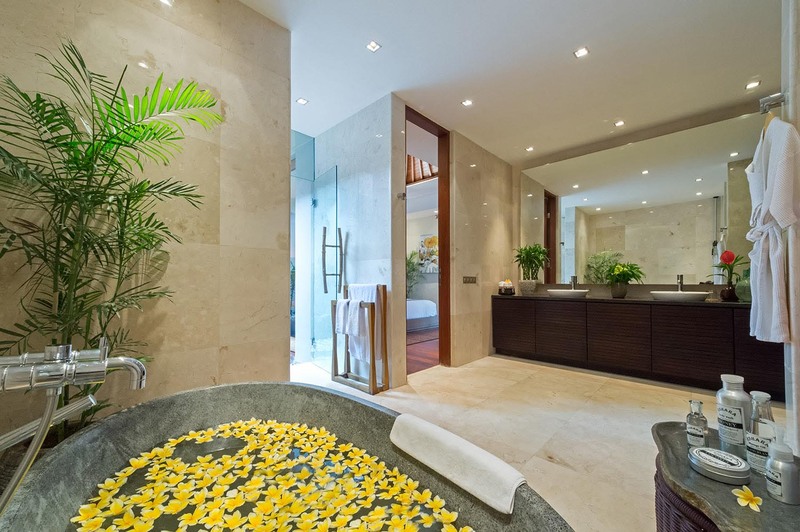 Each bedroom has a marble ensuite bathroom, some of which have large stone soaking tubs next to Zen-like bamboo gardens, and others have indoor and outdoor showers. The bedrooms also have sliding glass doors that open to either the pool deck or the garden. Elegantly finished with marble floors and native Indonesian timbers in all the right places, furnished with a huge L-shaped sofa and a dining table for 10, and fitted with an open-plan kitchen equipped for guest use, this all-purpose living space is a great place to unwind, relax, dine, play or be entertained. With vast sliding glass doors and high-pitched ceilings, the room is bathed in natural light. 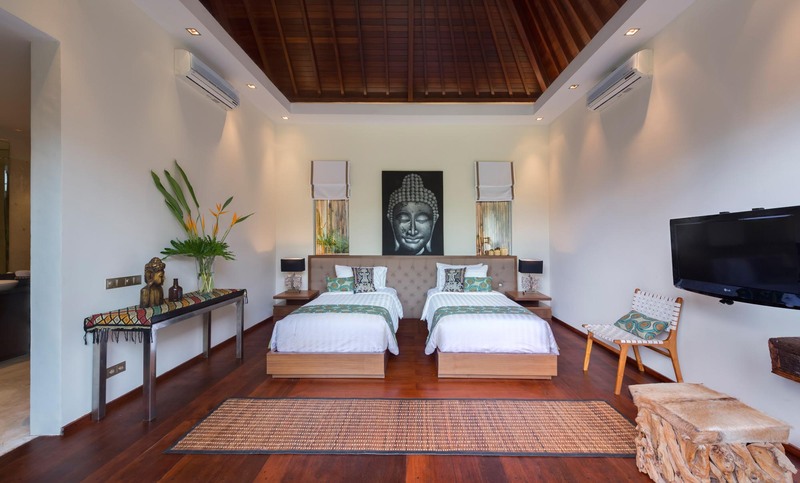 A pitched roof and hardwood floors create a wonderful natural ambiance to the king- bedded master suite, which can be accessed from both the living room and the pool deck. The marble ensuite bathroom with its river-rock soaking tub and outdoor shower will make daily cleansing rituals so much more fun. The view over the garden and pool from the beds of these two bedrooms is guaranteed to start the day off right. One room is furnished with a king bed and the other with twin beds that can be combined to make a king. With sliding doors, hardwood floors and high-pitched ceilings, both of these airy rooms have spacious ensuite bathrooms overlooking Zen-like bamboo gardens from their shower stalls. 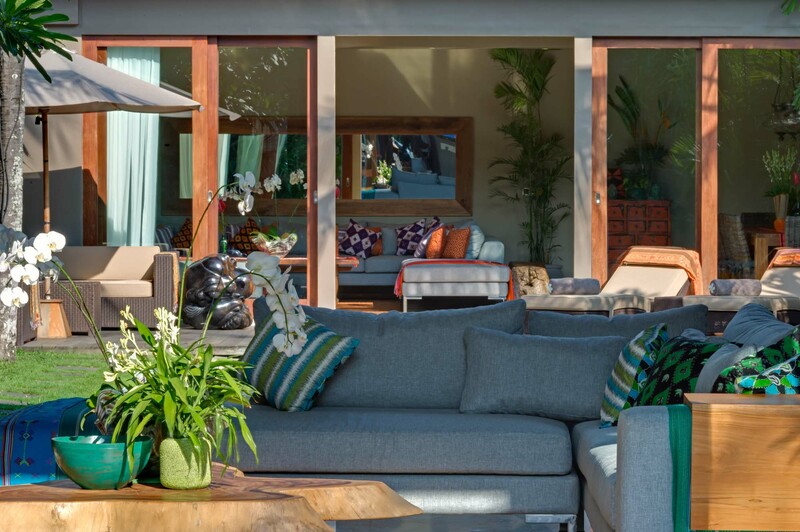 The coconut palms and colourful plants in the villa’s private garden put you firmly in the tropics, with the 10-metre pool and its deck – topped with sun loungers and a couple of sofas – and the large, cushioned relaxation pavilion, provide a choice of shade or sun throughout the day. CAPACITY 6 people (3 bedrooms: 2 with king beds and 1 with twin beds convertible to a king). LIVING AREAS Large, open-plan living and dining room with table for 10 people, pool deck with sun loungers and two-seater sofa. STAFF Full-time villa manager, full-time chef, butlers, garden/pool maintenance, security. Babysitters and masseuses available on request (extra cost applies). ENTERTAINMENT Satellite TV, DVD player, CD player (thru DVD Player) in living and bedrooms. FOR FAMILIES Children’s facilities at Villa Eshara include a baby cot; high chair. SPA In villa treatments selected from a comprehensive spa menu can be carried out by professional beauty therapists by the pool or in the privacy of your own room (extra cost applies). TRANSPORT Villa Eshara’s central Seminyak location means that many attractions are within easy walking distance. If additional transport is required, don’t hesitate to ask the villa manager to call one of the island’s safe and reasonably priced metered taxis, or to organise day or half-day car and driver hire for sightseeing. The villa also has six scooters for rental (extra cost applies). ADDITIONAL Barbecue, diesel powered back-up generator, safety deposit box. Hidden down a quiet lane, equidistant from Seminyak’s famous ‘Eat Street’ and the expansive Petitenget Beach, Villa Eshara III is just 300 metres away from a staggering array of hedonistic pleasures. From designer boutiques and day spas to beach bars, fine dining restaurants, cheap and cheerful cafes, and pulsating nightspots, good times are never much more than a moment away. Taxis continually cruise along the main thoroughfare, which is also where guests will find two tourist markets selling leisurewear, bags and accessories, a pedestrianised shopping centre, ATMs, a deli, and several convenience stores. 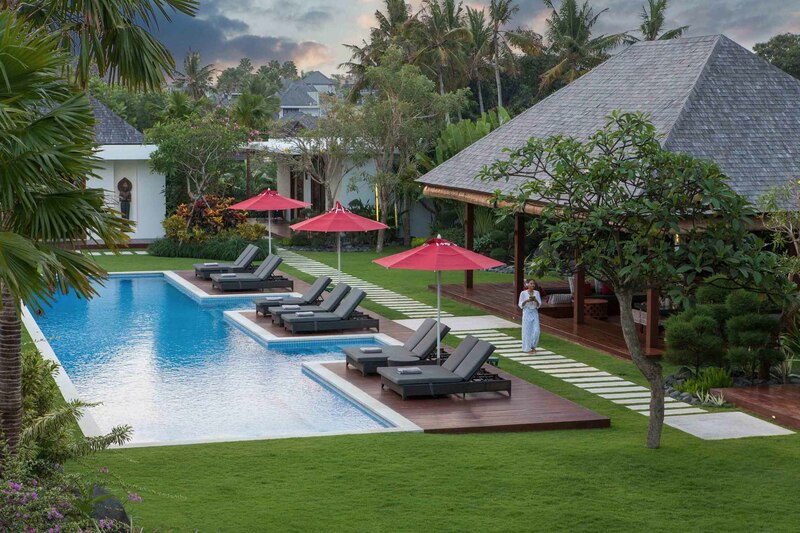 Exceptional location close to everything that Seminyak has to offer. Beach is only 300 metres away. We stayed in the entire villa in July 2015 with my whole family (16 of us) for a special occasion (mum’s 70th). It was the perfect villa to share with family as each family had their own area if required. Staff are amazing and extremely attentive to all our needs. There was nothing that they couldn’t, or weren’t willing to, fulfil for us. We will definitely be back in the future. Thanks for making our stay so special and memorable. Fantastic luxury villa in a perfect location! Villa facilities were fantastic with 2 air-cons in each bedroom – making for a perfect night sleep. Villa staff were extremely friendly and accommodating to our every need. Pool and outdoor area was clean and well kept. Definitely highly recommend! A very beautiful villa with a great location & staff. Great value. Compliments. Superb villa! We stayed in villa dream. Great service, beautiful decor and very spacious to relax. The beach is within 2 mins walk. Loved to see the sunset in KuDeTa. 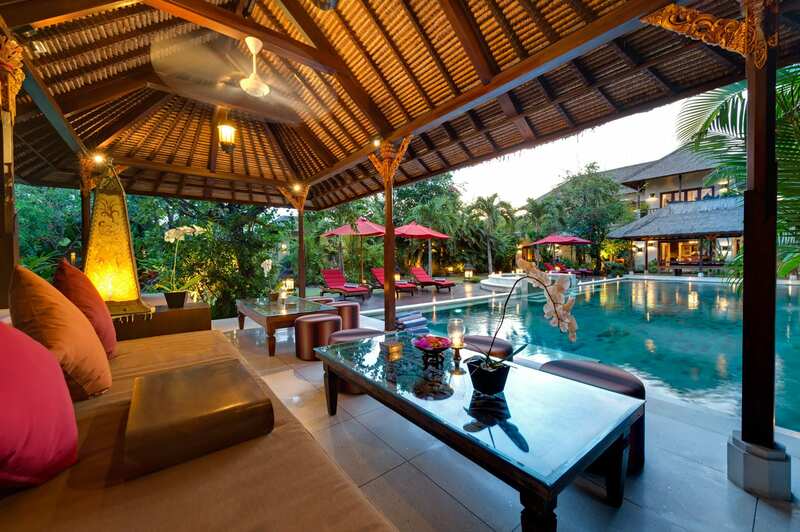 It is located in the heart of Seminyak with 3 minutes walk to great restaurants. 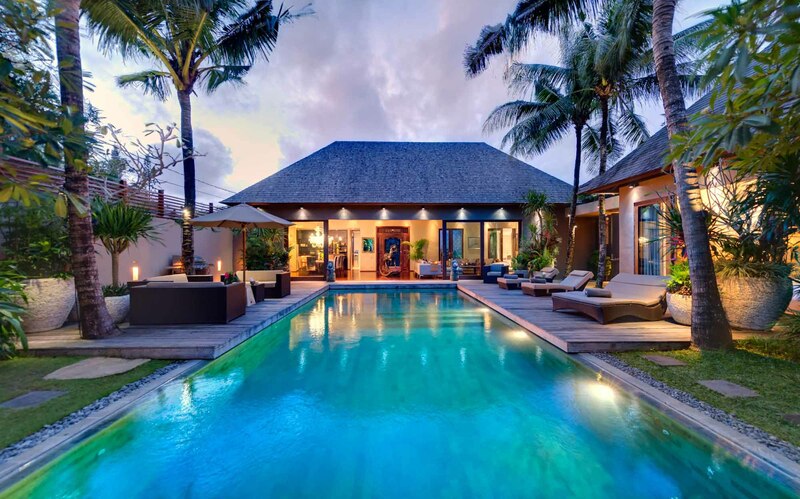 Chic and stylish, Villa Casa Brio's luxurious 4-bedroom villa fits in perfectly with Seminyak’s fashionable vibe. 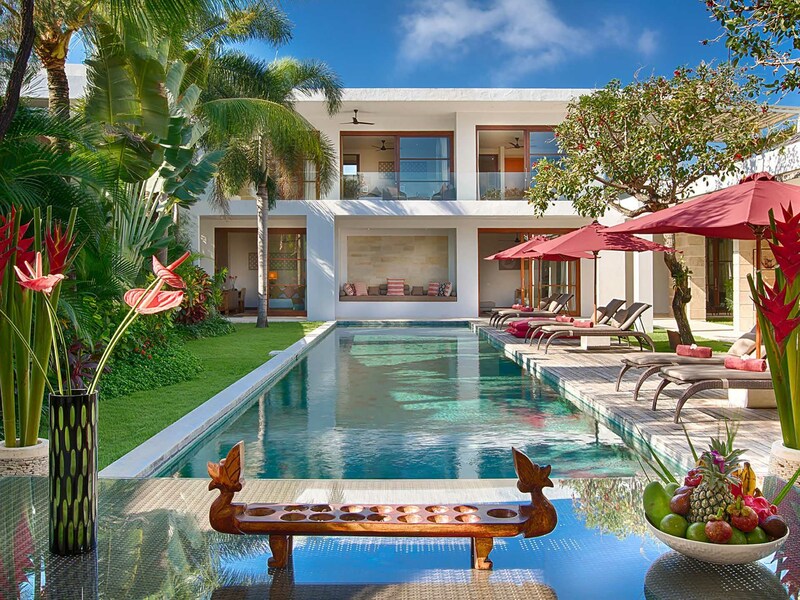 This stunning villa offers modern elegance & breezy outdoor lounging areas amidst tropical gardens. Sleeps up to 8 Guests. The Layar is a spectacular design-led villa resort in the heart of chic Seminyak, moments from Bali’s best restaurants, boutiques & beach bars. 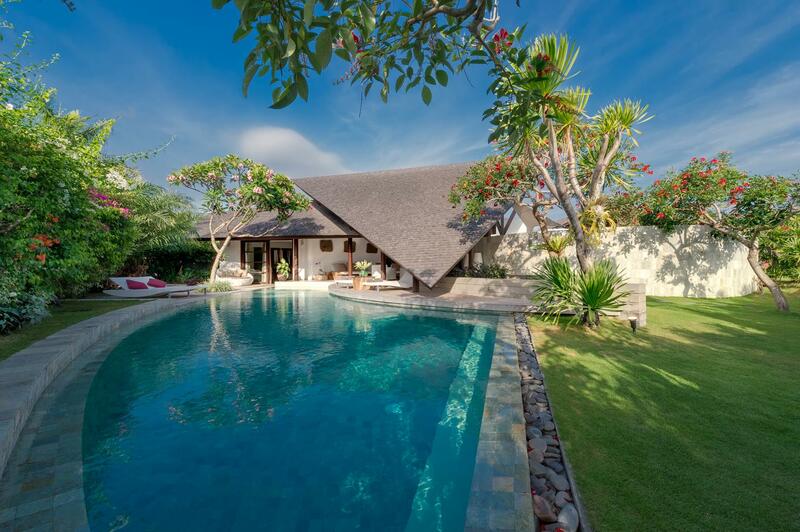 Set in tropical gardens, The Layar's 2-bedroom private pool villa sleeps up to 4 Guests. 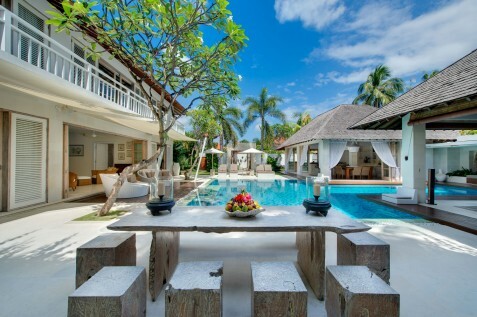 You can’t beat Villa LeGa for its fab location on Batubelig Beach & just minutes away from stylish Seminyak. 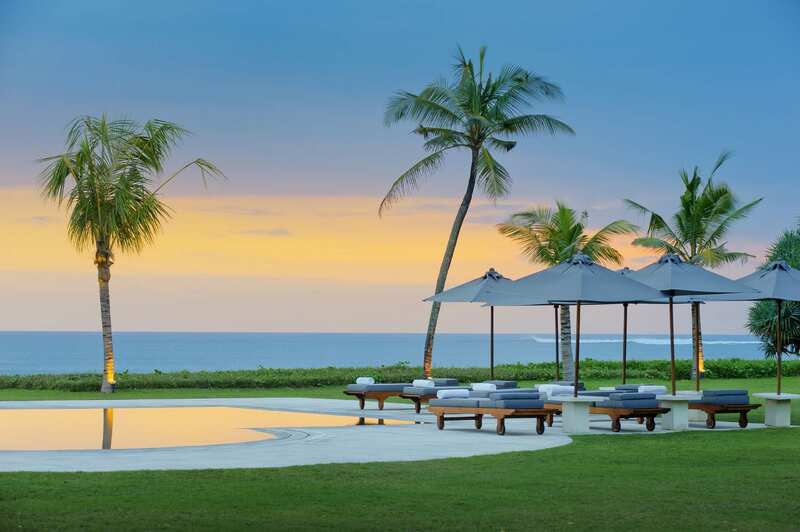 This beautifully designed, 5-bedroom luxury beachfront holiday villa enjoys 180-degree sunset & ocean views. Sleeps up to 10 Guests. Artsy urban design and lush tropical living meet at Eshara Villa I, a chic hideaway just minutes from Seminyak Beach and some of Bali’s best boutiques and restaurants. This luxury 3-bedroom private pool villa sleeps up to 6 Guests. 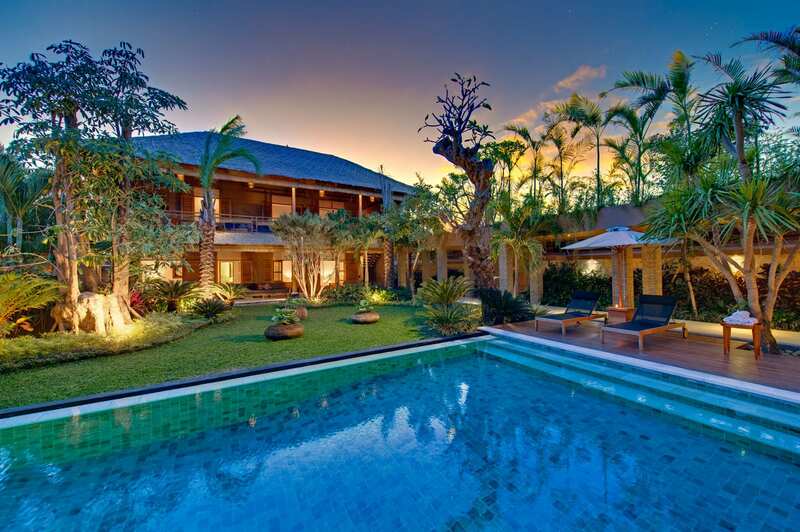 Villa Sayang d'Amour is a true oasis, a haven of absolute luxury and serenity nestled in the heart of stylish Seminyak. Pure decadence, Arabian Nights style this gorgeous 6-bedroom private pool villa sleeps up to 12 Guests. 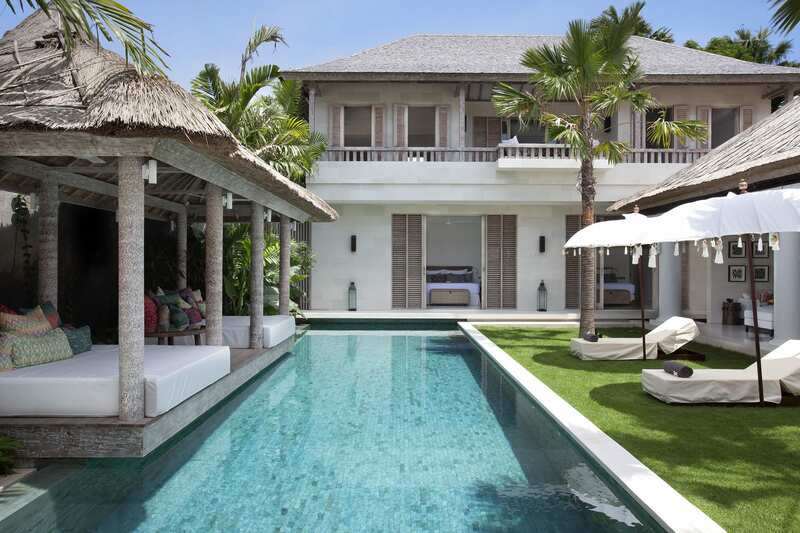 Set in the exclusive Laksmana Estate just steps from the beach and Indian Ocean, Villa Adasa is a stylish escape for families or groups looking for space & seclusion in the heart of Seminyak. This luxury 3-bedroom villa sleeps up to 6 Guests. If you’re seeking a chic and stylish pad in the heart of Seminyak's sophisticated neighbourhood, look no further than Villa Jajaliluna. 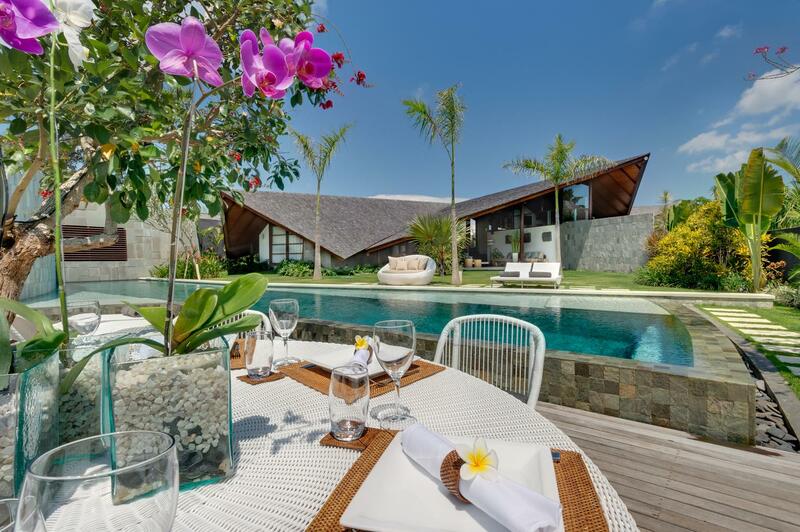 Located just a short stroll from the beach, this 4-bedroom luxury Seminyak villa sleeps up to 8 Guests. Designed by an award-winning architect, Villa Issi is one of a kind. 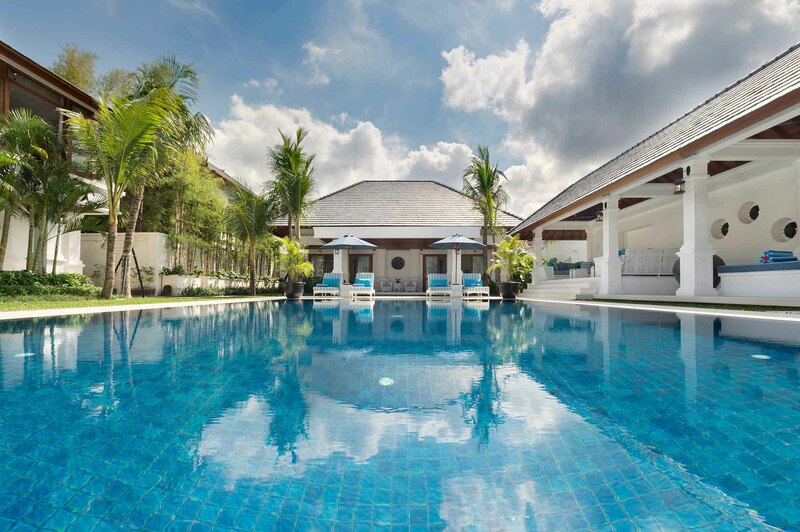 This architectural masterpiece is just a short stroll from the beach and main attractions of Seminyak. Cool & contemporary, this 4-bedroom luxury villa, sleeps up to 8 Guests. Villa Shambala is a hidden oasis – sophisticated, secluded and exclusive, yet located in the heart of bustling & fashionable Seminyak. This 5-bedroom private pool villa offer a luxurious, tropical space sleeping up to 10 Guests. 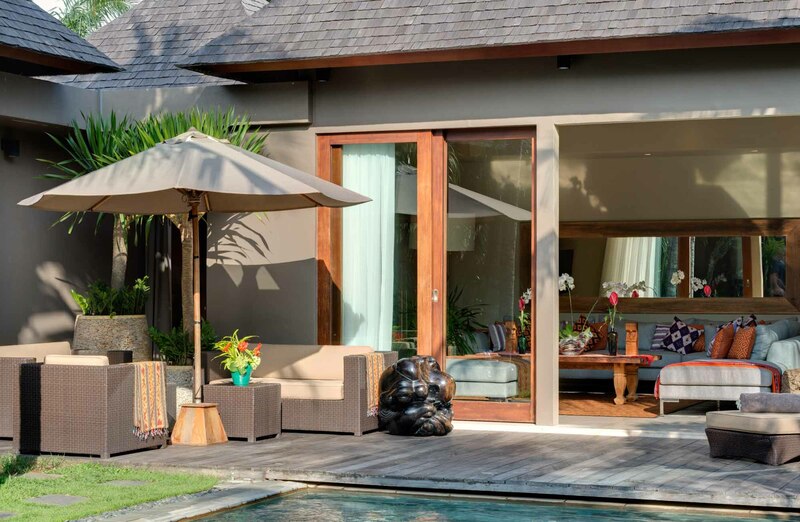 Set in a glamorous location and just 300 metres from the beach in Seminyak, Villa Lilibel is a stylish yet serene luxury villa featuring 6-bedrooms, swimming pool and fabulous indoor & outdoor living areas. Sleeps up to 12 Guests. Artsy urban design and lush tropical living meet at Eshara Villa II, a chic hideaway just minutes from Seminyak Beach and some of Bali’s best boutiques and restaurants. This luxury 2-bedroom private pool villa sleeps up to 4 Guests. 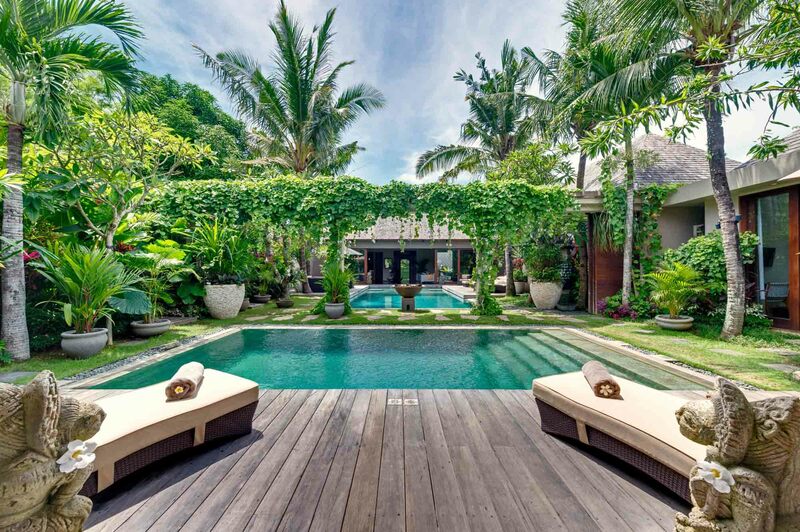 Tropical elegance awaits at Villa Jemma, a tranquil hideaway situated in the exclusive Laksmana estate. 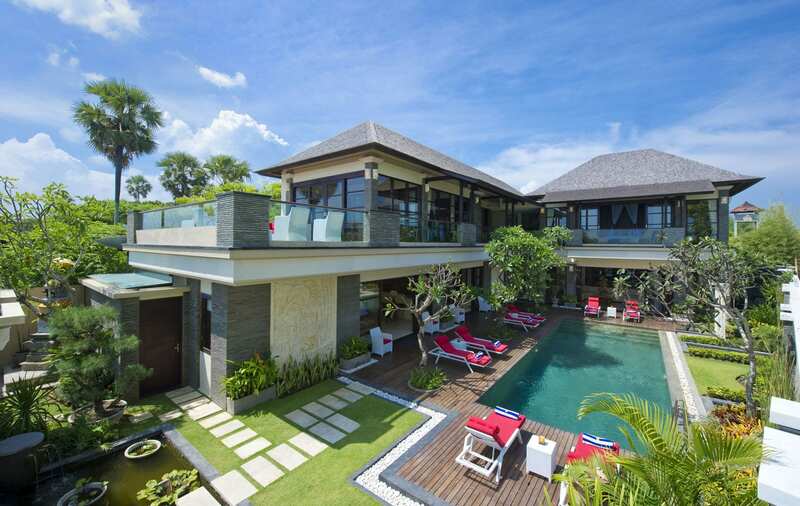 This 4-bedroom luxury villa is ideal for families or friends who want to shop, eat and play in stylish Seminyak. Sleeps up to 8 Guests. 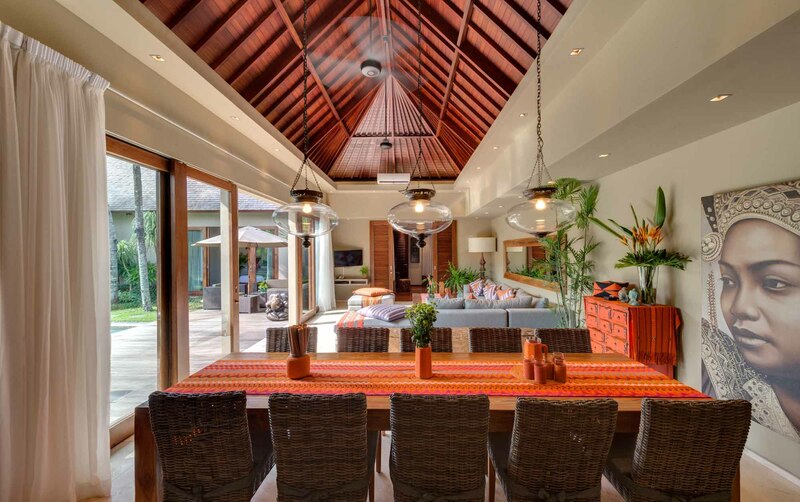 Built with friends and family in mind, Villa Asta is a gorgeous tropical chic 5-bedroom luxury villa just minutes from stylish Seminyak & Batu Belig Beach. Perfect for those seeking R&R with lots of entertainment options. Sleeps up to 10 Guests. 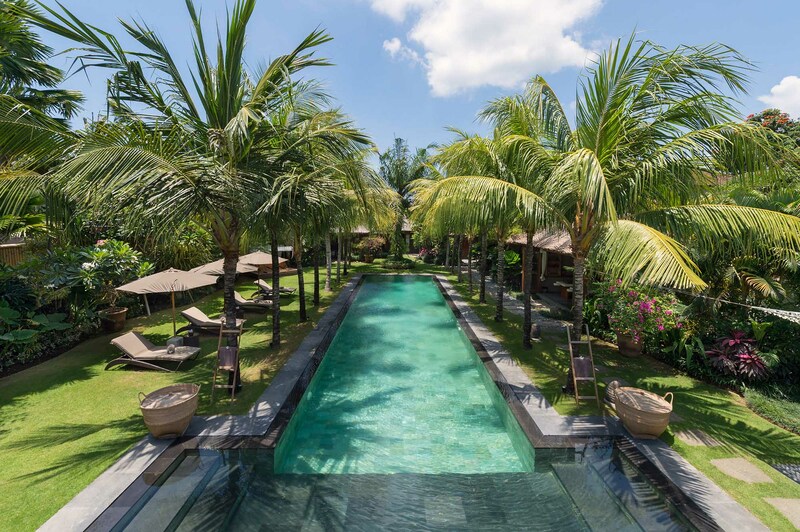 The Layar is a spectacular design-led villa resort in the heart of chic Seminyak, moments from Bali’s best restaurants, boutiques & beach bars. 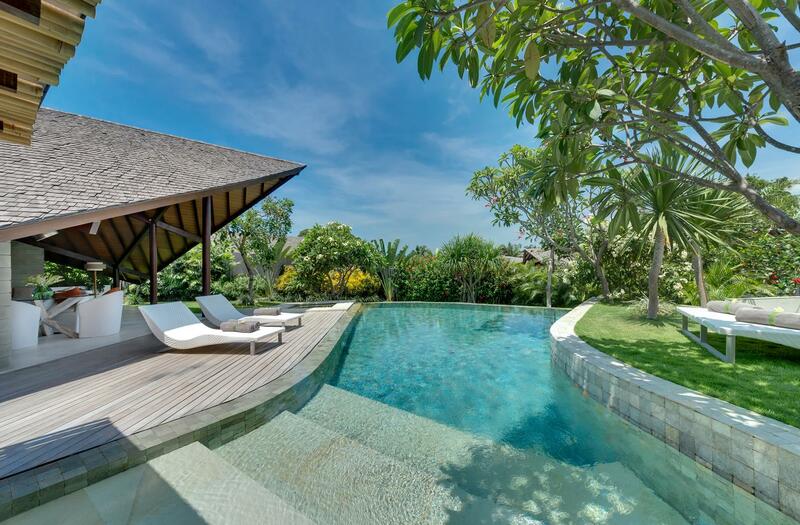 Set in tropical gardens, The Layar's 3-bedroom private pool villa sleeps up to 6 Guests. The Layar is a spectacular design-led villa resort in the heart of chic Seminyak, moments from Bali’s best restaurants, boutiques & beach bars. 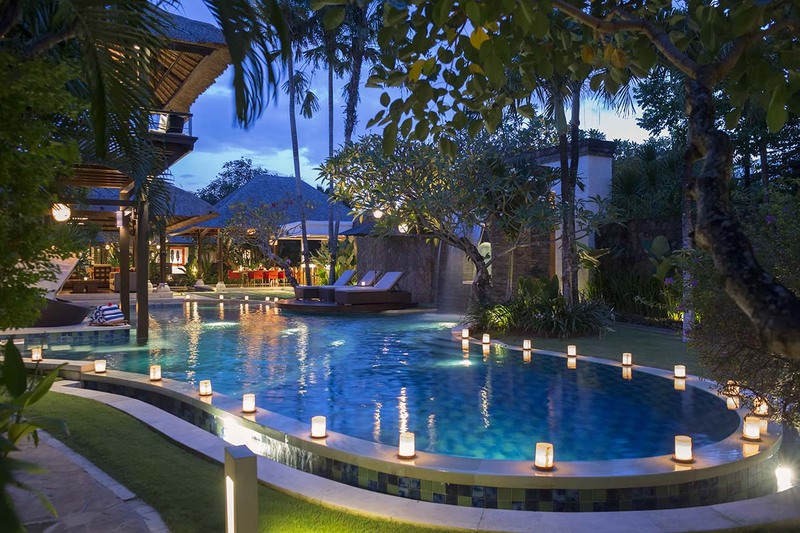 Set in tropical gardens, The Layar's 4-bedroom private pool villa sleeps up to 8 Guests. 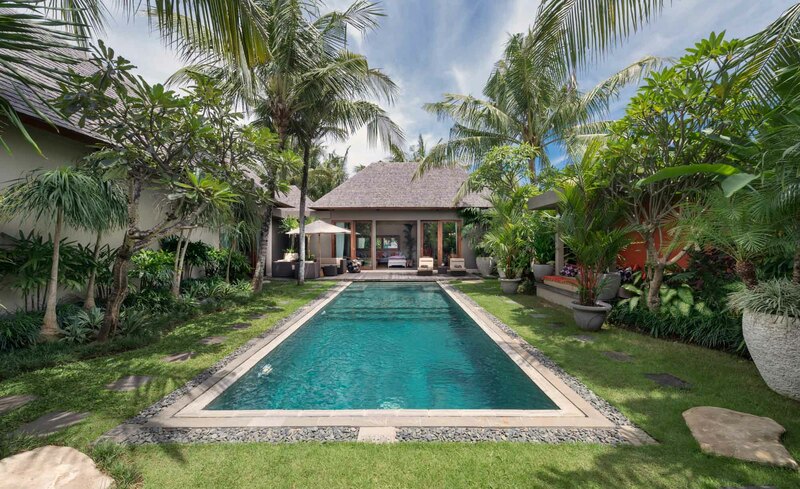 Villa Kalimaya I is a serene 5-bedroom oasis, only minutes away from the heart of bustling Seminyak. Set on an estate of four luxury villas, Kalimaya I offers a private, luxurious retreat for families or friends. Sleeps up to 10 Guests. Villa Atas Ombak is tropical island living at its best. 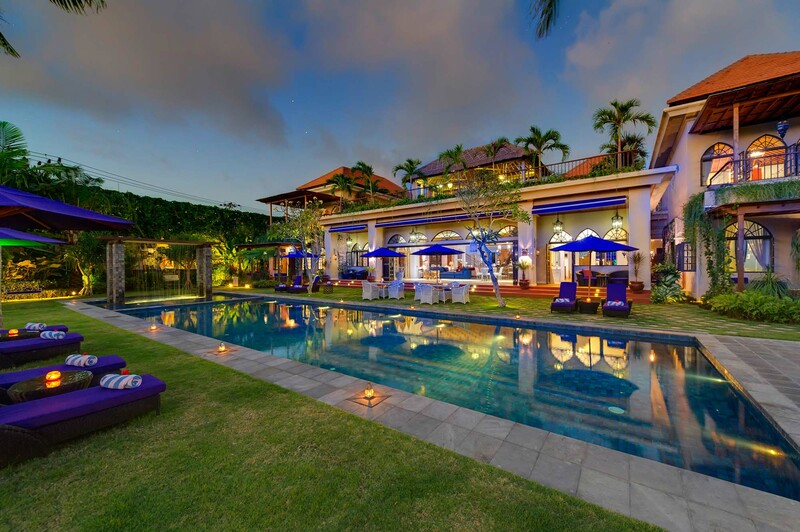 This sprawling 5-bedroom luxury beachfront villa in Seminyak spans one and a half acres of lush gardens & offers 100 meters of private beachfront. Sleeps up to 10 Guests. The Layar is a spectacular design-led villa resort in the heart of chic Seminyak, moments from Bali’s best restaurants, boutiques & beach bars. 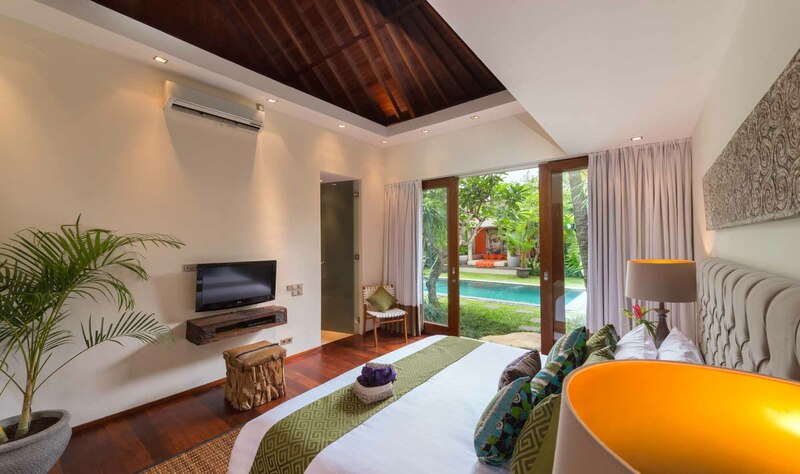 Set in tropical gardens, The Layar's 1-bedroom private pool villa sleeps up to 2 Guests. 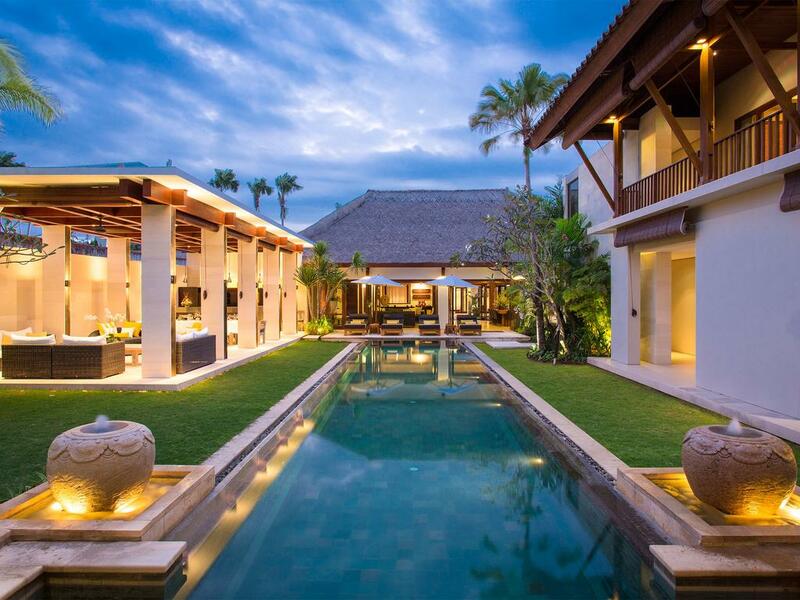 A secluded Sanctuary, Villa Malaathina is a beautiful 7-bedroom luxury villa situated in peaceful rice paddies just 10 minutes from the boutiques, spas, and world-class dining venues of stylish Seminyak. Sleeps up to 14 Guests. 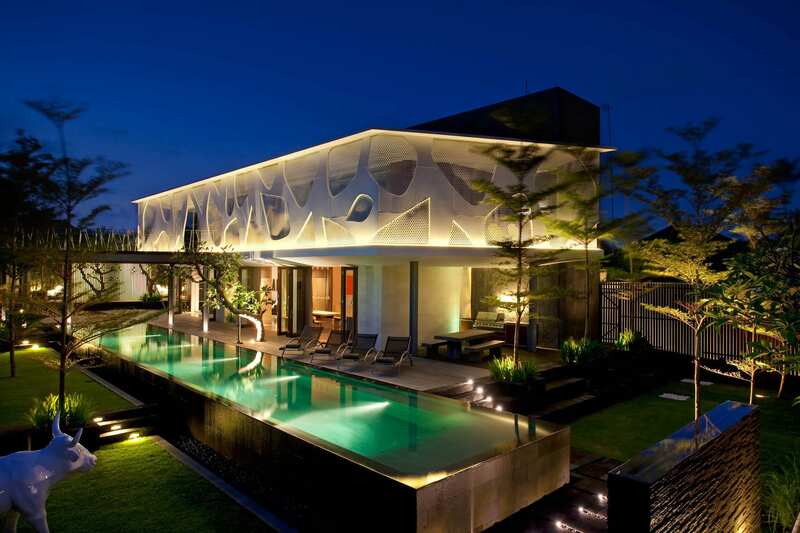 Stunning Villa Kinara is a rare fusion of striking architecture, spacious entertainment spaces & lavish outdoor living. 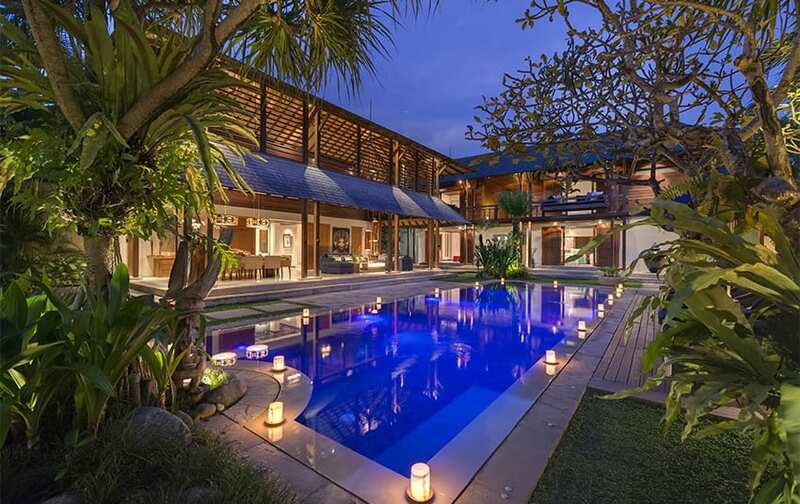 Set in a prime location close to the beach & restaurants, this 6-bedroom Seminyak luxury villa sleeps up to 12 Guests. 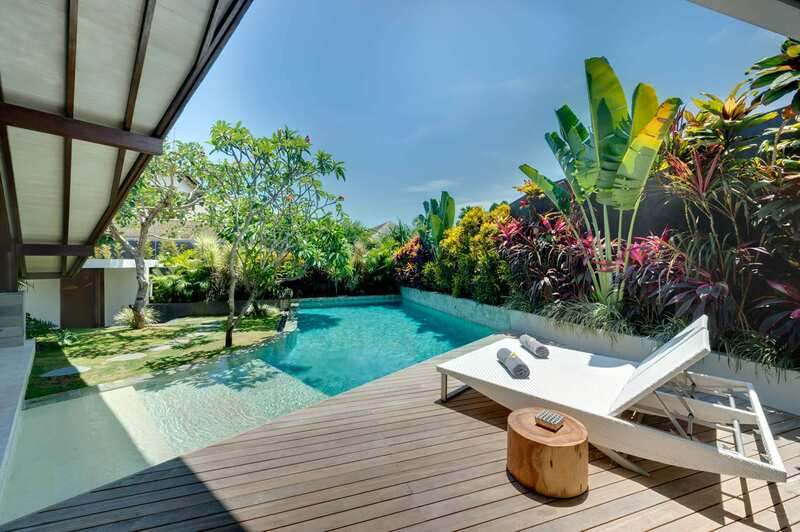 Families and friends will find an oasis of calm at The Orchard House, a spacious and serene 4-bedroom luxury holiday home in Seminyak tucked away down a small lane just steps away from the main attractions. Sleeps up to 8 Guests. 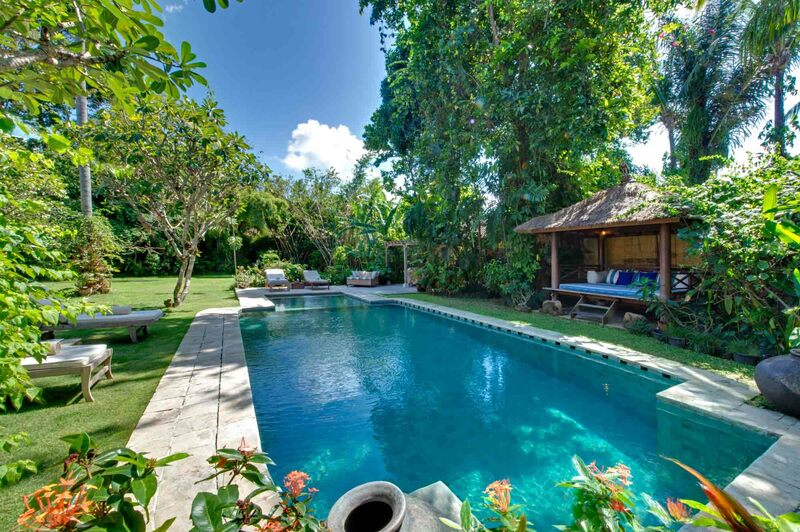 Villa Windu Sari is a chic escape for those looking for a peaceful holiday home in Bali. Just moments away from Petitenget Beach and the many boutiques and restaurants, this 4-bedroom luxury Seminyak villa sleeps up to 8 Guests. 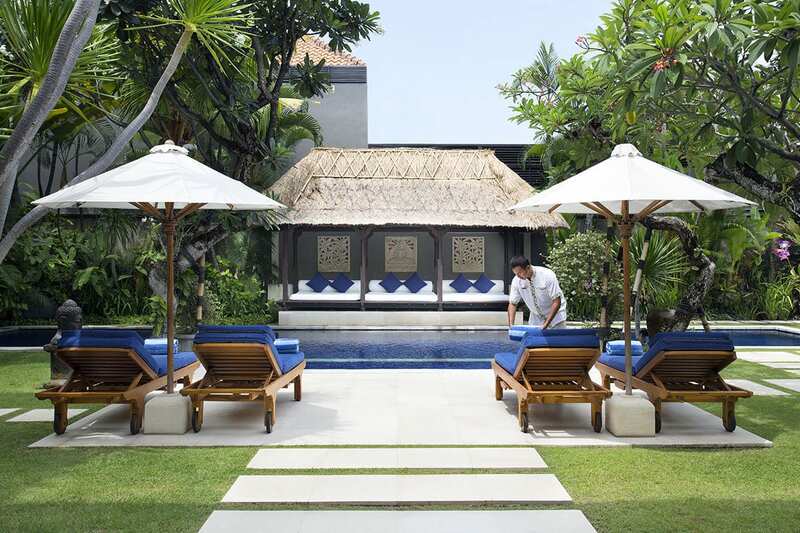 Villa Windu Asri, offers colonial grandeur amid a classic Mediterranean colour scheme for an opulent private villa experience in Seminyak that will make you feel as though you’re in a five-star heritage hotel. Sleeps up to 12 Guests.